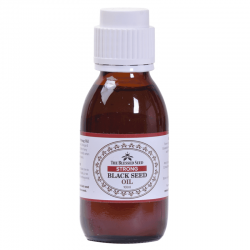 At The Blessed Seed, we’re quick to point to the many benefits that Black Seed Oil has to offer. 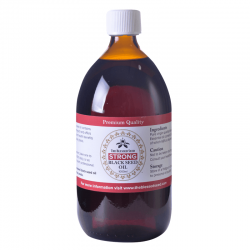 It’s a particularly potent remedy for a range of hair and skin issues. The oil can combat the inflammation that leads to many skin issues, in addition to help you to maintain and even regrow your hair. But it’s not the only oil that can help in these areas. In fact, Argan Oil is as much of a miracle cure as Black Seed Oil when it comes to hair and skin. That’s why we’ve combined them into one awesome oil. So, what does Argan Oil add to the package? Here are ten key benefits. Most people use Argan Oil as a skin moisturiser, and with good reason. The oil contains large amounts of essential fatty acids and Vitamin E, both of which your body needs to keep your skin looking and feeling as healthy as possible. Best of oil, it absorbs quickly. You won’t have to deal with that nasty oily feeling that a lot of oils leave on the skin. It’s not greasy and it penetrates into your skin’s layers quickly. 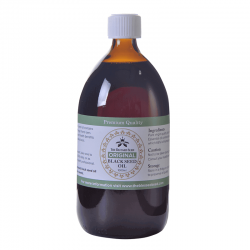 Best of all, you can apply it to practically any area of the body and see the effects. It’s suitable for use on your face and neck, as well as for your scalp. 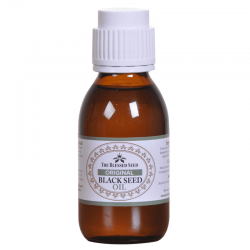 We’ve spoken already about the reparative effects that Black Seed Oil has on your hair. But Argan Oil gives your hair a further boost in its own way. It acts as a natural conditioner, which means it leaves you hair feeling softer and looking shinier. It’s also ideal for helping you to deal with the split ends that can make your hair look messy. When combined with Black Seed Oil, you have a potent hair replenishing oil that takes care of everything. Argan Oil doesn’t just keep your hair healthy. It also helps you to bring it under control so that you can style it in any way that you want. It’s a particularly effective frizz tamer. And that’s a good thing because people with frizzy hair often resort to chemicals and straighteners to get their hair looking how they want it to. Argan Oil achieves great results and it’s all natural, so you’re no damaging your hair just to get it under control. The spread of Free Radicals in your body is the main cause of the signs of ageing that you want to get rid of. You need antioxidants to fight against the Free Radicals and Argan Oil comes absolutely packed with them. This makes the oil and effective treatment for the fine lines and wrinkles that form on your face. Toning is a crucial part of taking care of your skin. It’s with toning that you give your skin that special glow that captures the attention. The problem with most toners is that they’re absolutely loaded with unnatural chemicals. You can imagine the effects that has on your skin when you’re applying the toner every day. Steep a green tea bag inside a cup of boiled water for about 10 minutes. Then get rid of the tea bag and allow the water to reach room temperature. Add four drops of Argan Oil alongside a couple of drops of an essential oil to the water. There you have it. An Argan Oil-based toner that you can use every morning and night. Acne may be seen as a teenager’s problem, but the truth is that it can strike at any age. And when it hits you once you’ve left your teens, it can be really embarrassing. After all, no-one expects to have to deal with acne once they’re an adult. Argan Oil can help you to combat acne in a number of ways. For one, it’s an anti-inflammatory, which means it can soothe the discomfort that acne causes. That means less scratching at your face. But it’s also important to remember that oily skin is one of the chief causes of acne. Though Argan Oil is an oil, it’s also non-greasy. Your skin absorbs it rapidly while the oil cleanses the bad oils that can contribute to acne. You’re fighting oil with oil! Argan Oil doesn’t just help you to combat many of the issues that can affect your hair and skin. It also provides active protection against many of the things that damage them. The oil can up the healing rate for dry and cracked skin. Apply it regularly both to re-moisturise the skin and to essentially create a protective barrier against the elements that may dry your skin out again. Rubbing the oil into your scalp also protects you against dandruff and inflammation that can damage your hair or make it look unkempt. Pregnancy is a wonderful period for any mother. You spend nine months carrying your child and you form a bond that will never be broken. Pregnancy can wreak havoc on your skin. If you’re really unlucky, you can end up with stretch marks that take ages to get rid of. That’s where Argan Oil can come to the rescue again. The oil contains a heavy dose of Vitamin E, which your skin uses to reinforce itself and regain its elasticity. You can use the oil both during pregnancy and after giving birth too. It’ll give you skin some extra protection against sagging and stretch marks, as well as helping you to keep your skin hydrated and fresh during the difficult months after giving birth. With all of this focus on your skin, it’s easy to forget that the same problems that affect your face and hands can also affect your lips. In fact, dry lips can cause even more problems. You’re constantly using your mouth, which means you’re at higher risk of cracking the dry skin on your lips. That can even lead to open wounds that provide an entry point for bacteria. Argan Oil comes to the rescue again as it’s an ideal substitute for the chemical-based lip balms that you’ve used in the past. The oil replenished your lips, keeping them feeling both soft and smooth. All it takes is a couple of drops per day to get healthy lips. The skin on your hands is at particular risk because of how exposed it is and how often you use your hands. Naturally, you can use Argan Oil as a moisturiser for your hands. But what you may not realise is that the oil can also strengthen your nails and cuticles. This is particularly useful if you struggle with brittle nails. Argan Oil strengthens the nail, which means there’s less chance of the nail cracking under pressure. That’s ideal for people who like to grow their nails long. Plus, it means there’s less chance of you experiencing the pain of a broken nail. The oil also strengthens your cuticles, which only serves to strengthen your nails further. It’s took a very long article to explain the benefits, but we’ve finally covered most of the benefits Argan Oil has for your skin and hair. Best of all, we combine our Argan Oil with Black Seed Oil. That means you’re getting two sets of benefits for the price of one. All that’s left is to give our Multi-Purpose Argan and Black Seed Oil a try.